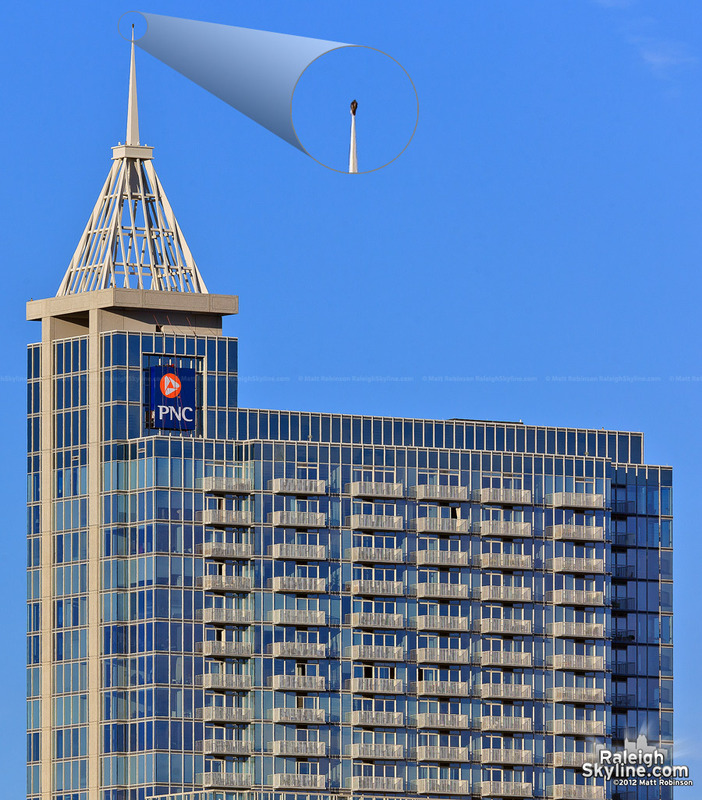 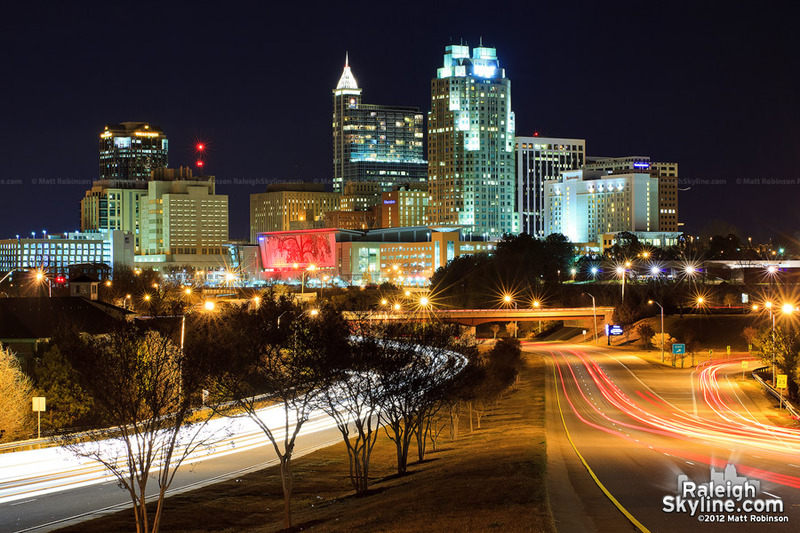 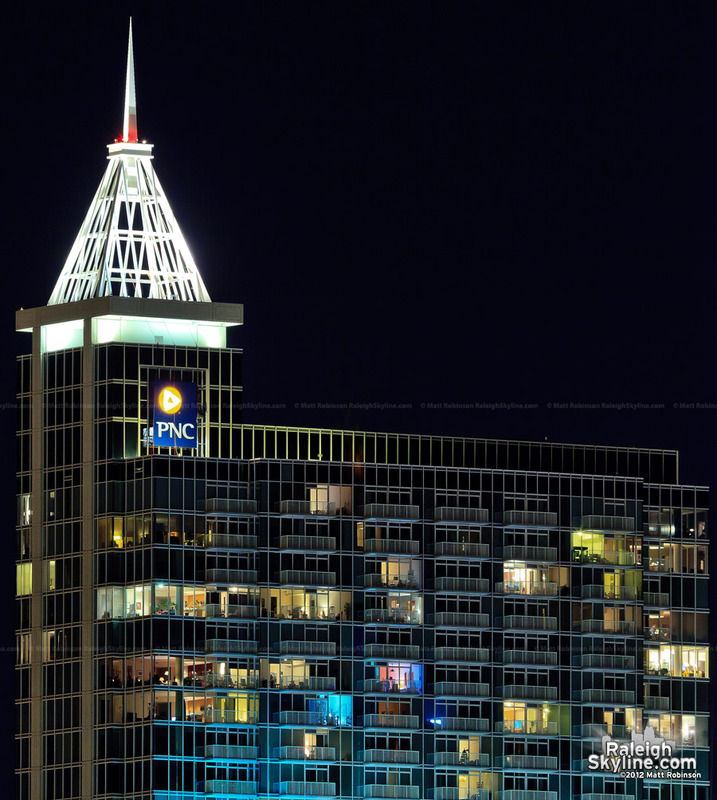 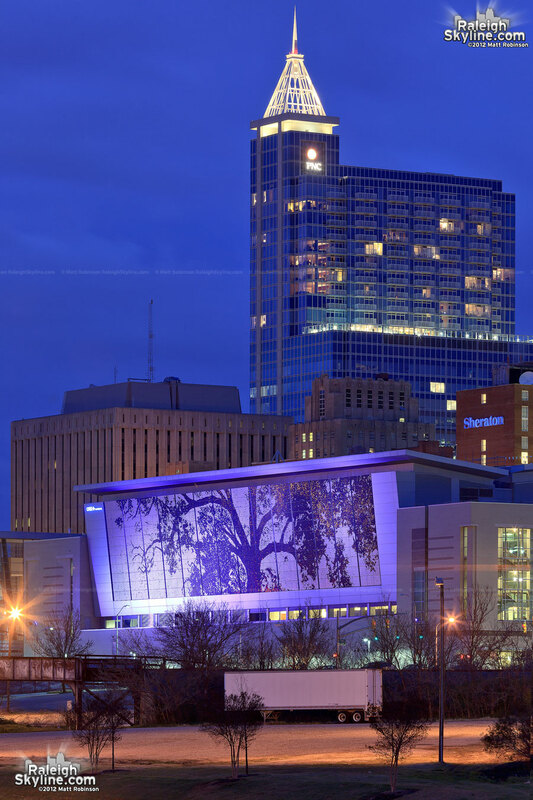 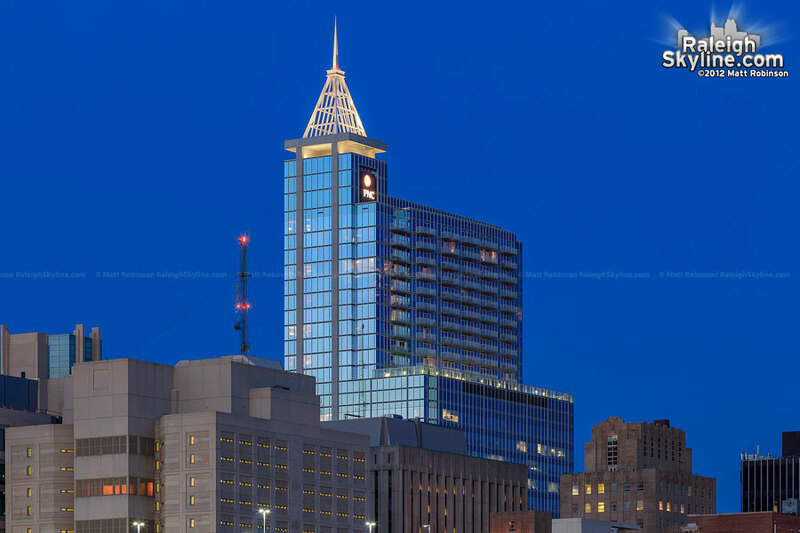 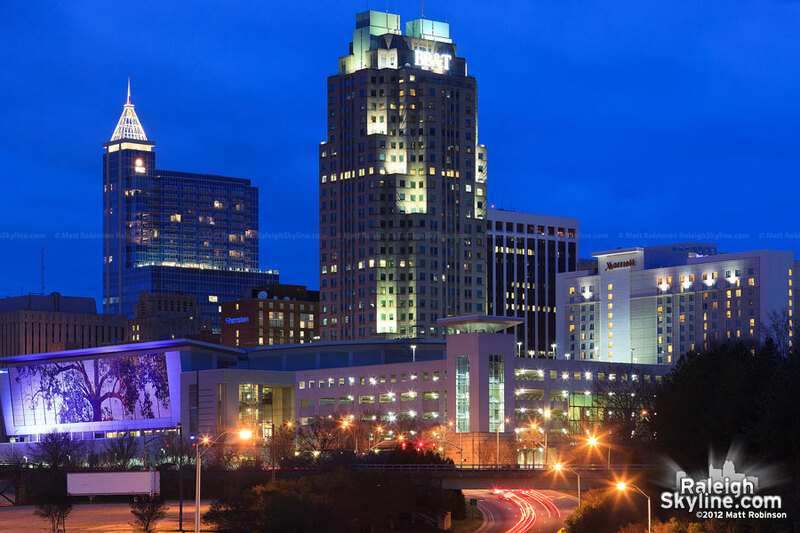 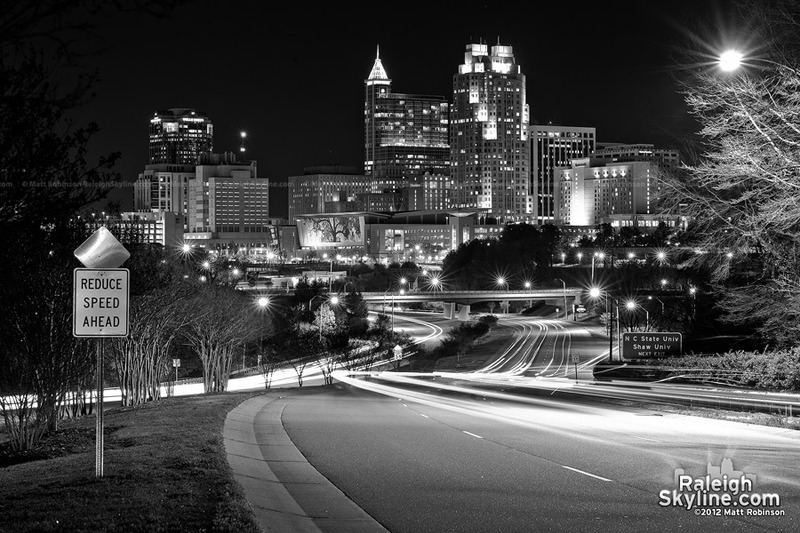 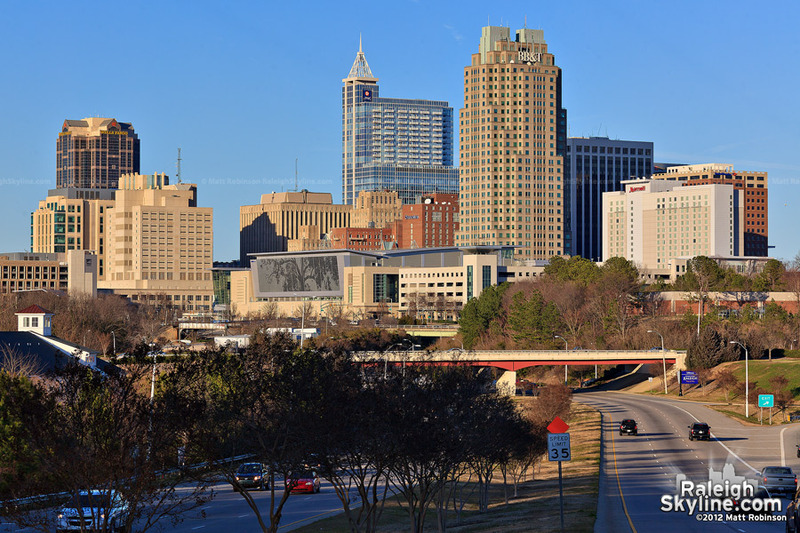 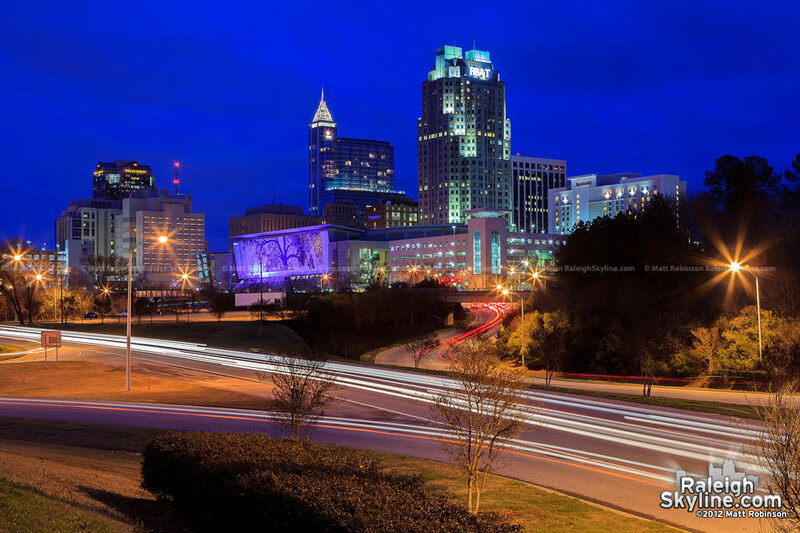 Only a few months since Wachovia to Wells Fargo transition, Raleigh has another new bank logo in the skyline. 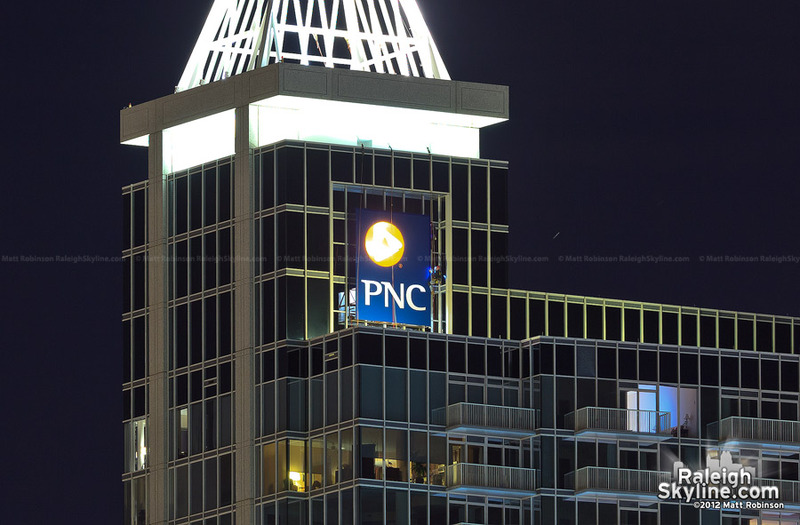 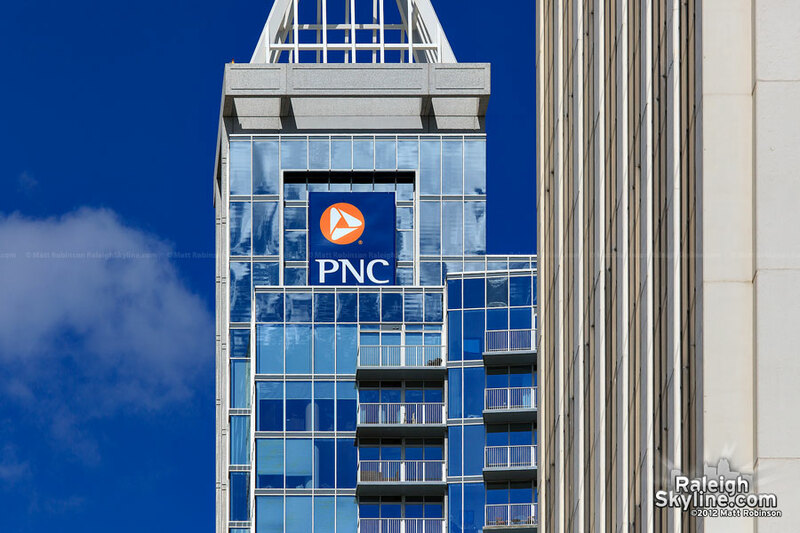 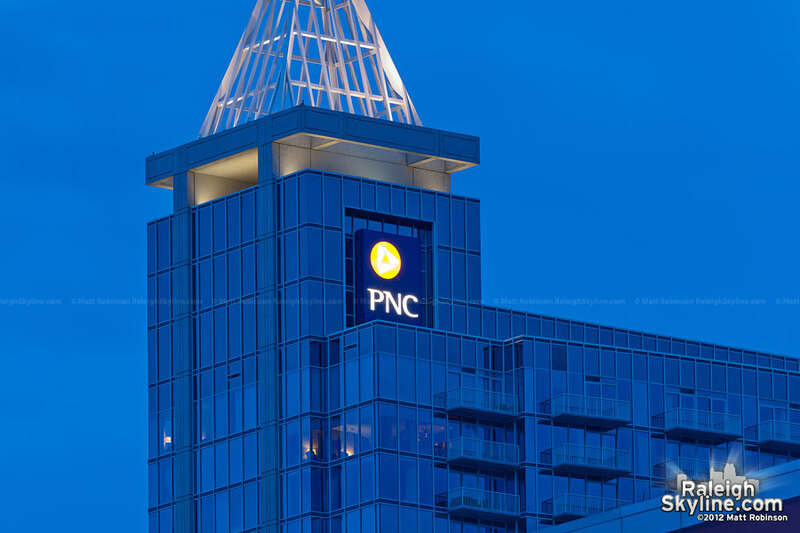 Pittsburgh based PNC Bank’s purchase of RBC Bank will usher more signage changeovers in our area, including the RBC Center arena. 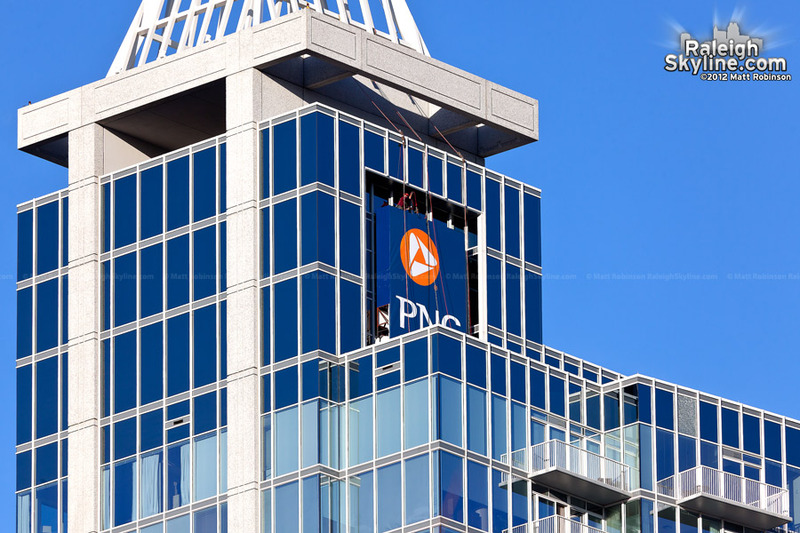 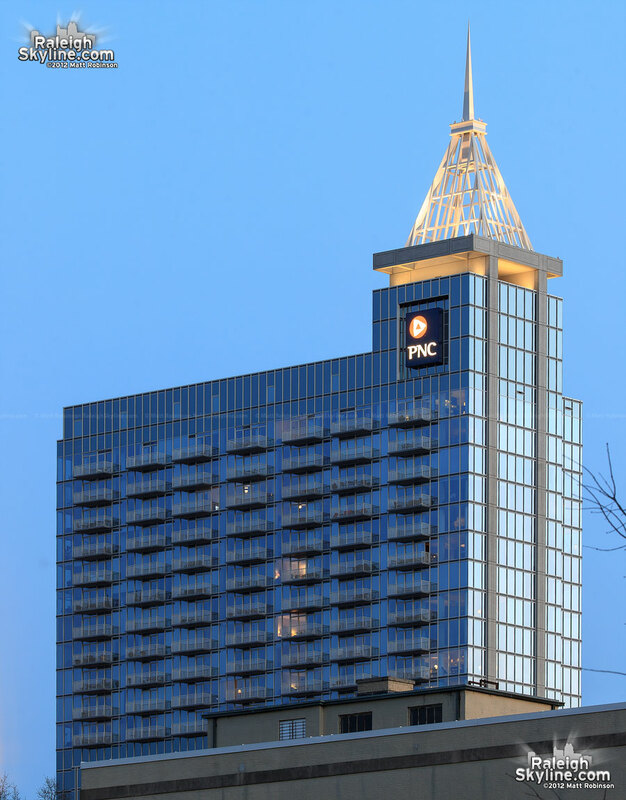 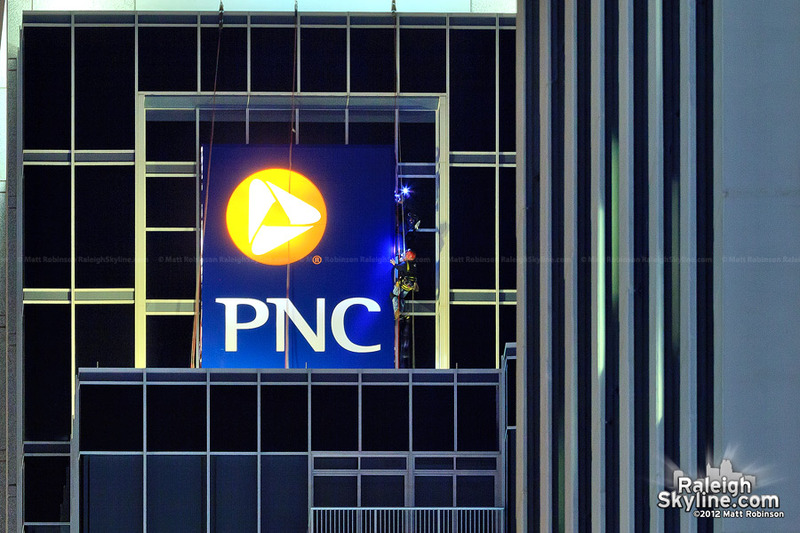 PNC logo on PNC Plaza?